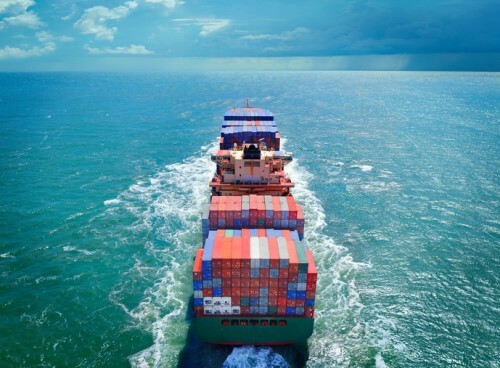 How might the new IMO 2020 fuel rules impact shipping firms' exposures? The global maritime industry is heading full sail towards a new 0.5% global sulphur cap on fuel content, which will be imposed by the International Maritime Organization (IMO) on January 01, 2020. From that date onwards, shipowners and charterers around the world can only legally take on bunkers with a maximum sulphur content of 0.5%, down from the current level of 3.5%. If they’re found in breach of the IMO’s new regulation, they will face penalties and their vessels will be declared unseaworthy and therefore uninsurable. There’s no silver bullet for how shipowners and charterers can become compliant with the IMO’s 0.5% sulphur cap regulation. The most straightforward options would be to switch to using low-sulphur marine gas oil or ultra-low sulphur fuel oil (ULSFO) of 0.1% maximum sulphur content, which is currently required in designated Emission Control Areas (ECA) like the coastal waters in North America. Another challenge for vessels currently operating on fuel with a 3.5% sulphur content is that they’re going to have to clean up their tanks, pipes and pumps before making a full transition towards 2020 compliant fuel. This is a costly and time-consuming process, which can take about six months, and it’s something shipowners and charterers need to initiate well in advance of January 01, 2020. Any vessel failing to comply with the IMO’s new fuel spec will face fines, and those fines will depend on the laws and requirements of each country. Some jurisdictions like Hong Kong might go so far as to place criminal charges upon the captain of a non-compliant vessel, whereas others might be much more lenient. The enforcement of the regulation is going to “vary substantially,” according to Pecci. As the global marine industry makes the transition to lower-sulphur fuels, the protection and indemnity (P&I) insurance industry is waiting and watching closely, explained John Hearn, managing director at Lodestar Marine. Until the IMO’s regulation comes into effect, “we’re not really going to know what the fallout will be,” he said. The shipping industry has been moving piecemeal towards IMO 2020 since the 1960s, according to Pecci. Despite shipping being one of the most environmentally-friendly ways to move cargo (it’s much cleaner than road or air transit), the IMO has been persistent in its efforts to reduce harmful emissions from ships.